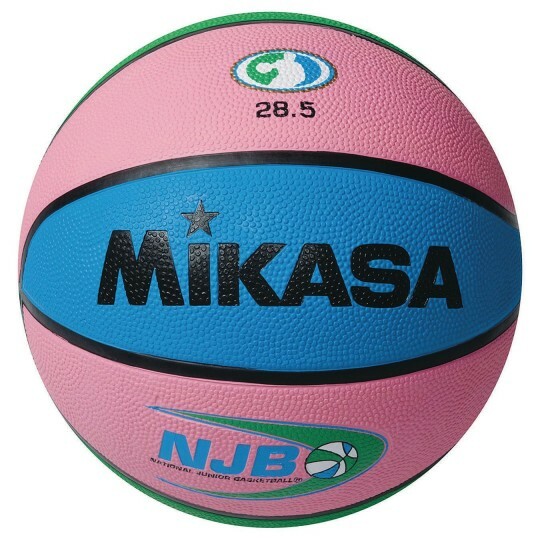 Mikasa® is the Official Ball of the NJB (Nation Jr. Basketball). This ball was developed specifically for NJB players but can be enjoyed by all. With superior feel and performance this ball is designed for use on indoor and outdoor courts. Features vulcanized rubber cover and unique panel colors for easy identification.